Every now and then I got a glimpse of this bird which I'm pretty sure is not native to Northern Germany where I live. There are at least three of these birds around but I usually only see something quick and green somewhere in the trees. I finally managed to get some decent pictures so I'm hoping someone can tell me what kind of bird this is. I'm curious what biological niche this bird is likely to fill and which native species it might compete with. 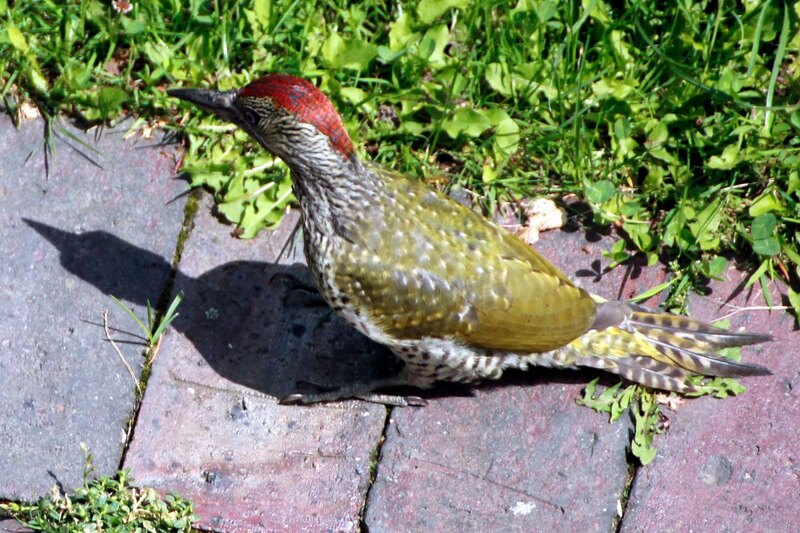 Almost definitely (I'm not a regular birder) European Green Woodpecker (latin name: Picus viridis) and it is native to your area according to its species distribution map. 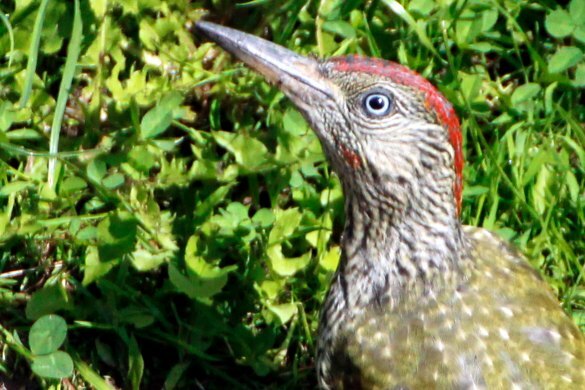 I confirm rg255's answer: it is a Picus viridis. Additionally we can see it is a young male (immature). Young because the spots; picture of an adult here and young here. Male because the red spot under the cheeks, the females get this part only black. Not the answer you're looking for? Browse other questions tagged zoology species-identification ornithology or ask your own question. What species is this bird (found in Cousset, Switzerland)? What species is this black, blue and white bird? What species is this “talking” bird?